Not that they make a big secret of the fact that their campus used to belong to the Point Loma Theosophical Society, but it’d sound more mysterious if they did. I’ve begun researching historical oddities of San Diego as source material for a novel. This is the first field trip I’ve taken along these lines. 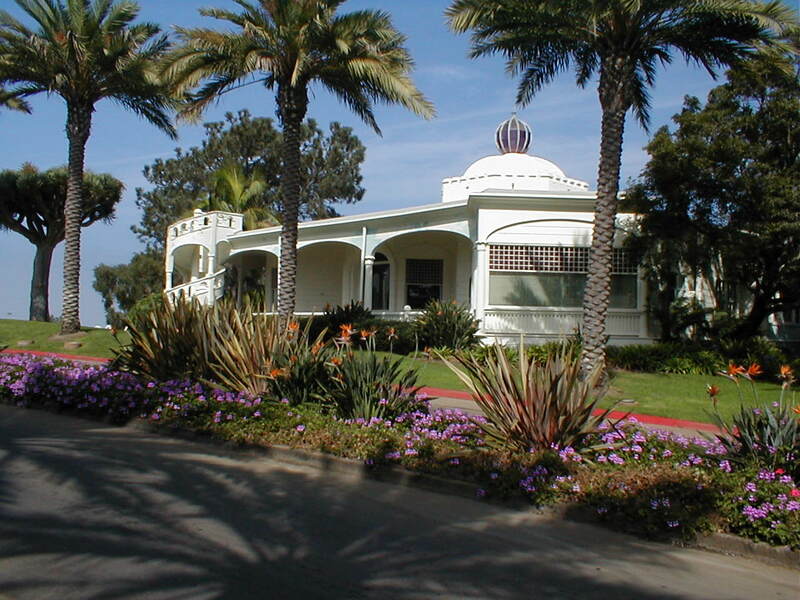 The Theosophists on Point Loma or “Lomaland” as it was often called, flourished until the late 1920s. With the death of Madame Tingley [their leader] in 1929, and the fall of the stock market the same year, the Lomaland community began to decline. Eventually, the property fell into the hands of Pasadena Collage for thier new operations. Most of the campus is new. And most of the older building are just older buildings. With one exception; Mieras Hall. 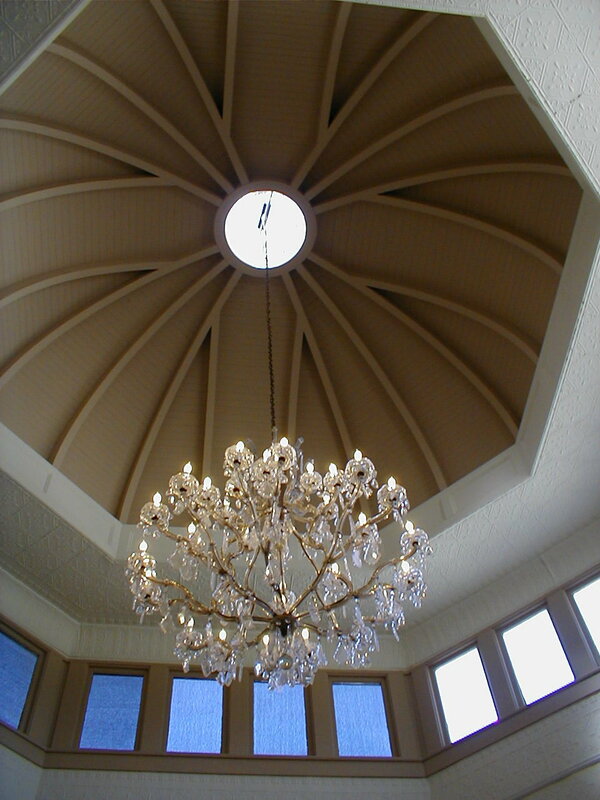 Built in 1901 it is an octagon shaped building with a rotunda room in the center. Each of the eight walls contains three amethyst-colored windows and skylights at the base of the dome. The Egg shaped window at the top and the odd spiral staircase on the outside that leads to the roof give me ideas for how this building might have been used for ritual purposes in a Theosophical attempt to commune with the Elder Gods. Dude, it’s by no means a Catholic institution. You’re right. I don’t know where I got that impression from but I’ve had it a long time. It’s hard to keep track of all these forms of Christianity, all crosses look the same to me. I got your San Diego historical oddities right here, and unlike the Theo-losers, these fab freaks are still rockin’ the free world. Or at least Ramona, my old scratch patch. Wow! You’ve helped me crack a search I’ve been trying to run for approximately 3 years. (Never said I wasn’t persistent. O:-) In college I had a Jungian therapist who I did a lot of breakthrough and dream work with. 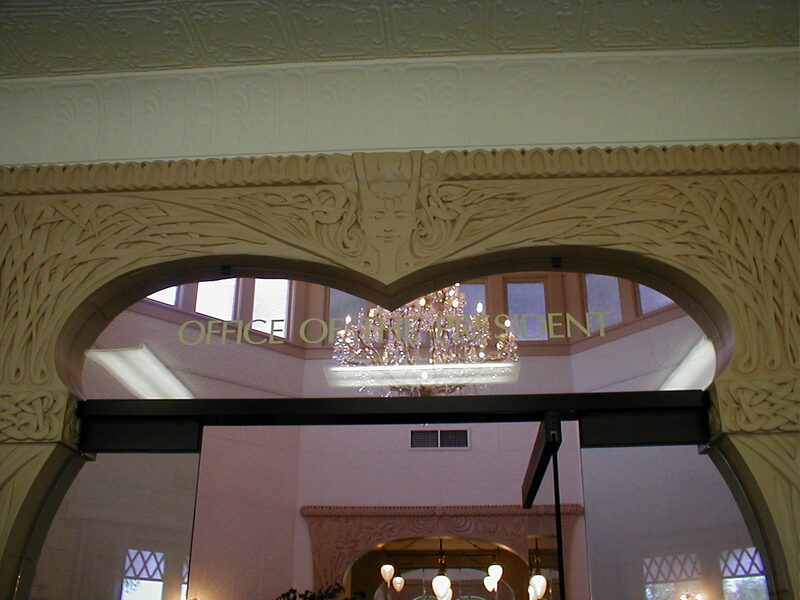 She met with me out of the LA Gnostic Society’s offices which I think may have been co-located with the Theosophical Society because I distinctly recall a seal on the door. I was stymied because I have been making the above transformation mistakenly. Bam, here it is! Judith Richardson! I can’t believe it. I have been actively looking for her for 3 years but seeking her out since 1996. There’s another UFO cult in SD that isn’t so open. They’re more of the “chase you off their property with a shotgun” variety. Forgot their name but I ain’t goin’ there. He’s an authority on the subject, as well as on ritual tattoos. I bet you he could tell you exactly how they rang up the Elder gods (heck, he’s still doing it). Lemme know if you want to chat him up, I’ll give him a jingle. I used to love their public access tv program. I’ll keep him in mind. I’m mostly researching San Diego weirdness.